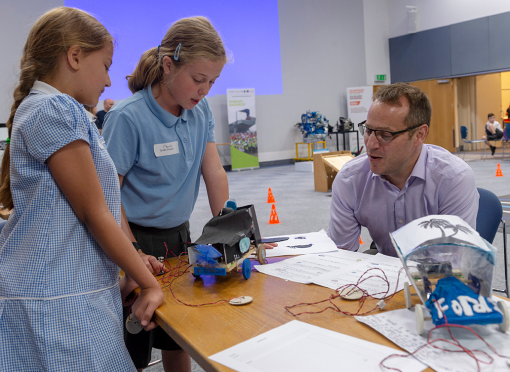 BRENTWOOD, Essex, 04 July, 2018 – The Primary Engineer programme for 2017/18, which aims to encourage primary-school-age children into engineering careers, culminated with a celebration event at Ford’s Dunton Technical Centre. Around 120 students from 20 local schools took part in a day of competition to showcase the electric vehicle projects they had worked on for the previous eight months of the academic year. Primary Engineer, a non-profit organisation, run a variety of engineering-based courses to make engineering fun and exciting, helping to inspire the next generation of engineers. Starting with a teacher-training day in October 2017, Primary Engineer linked Ford engineers with local schools to boost awareness of STEM related professions and support teachers and students in the practical aspects of the course. 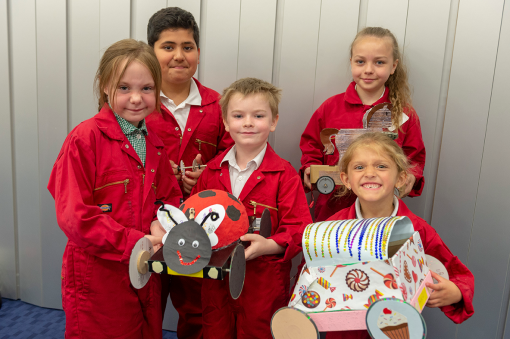 Ford Motor Company Fund, a non-profit organisation and the philanthropic arm of Ford Motor Company, supported Primary Engineer with a £15,000 grant to execute this programme. Ford Fund invests in innovative programmes focused on Education, Sustainable Communities and Safe, Smart Mobility. Ford has renewed this partnership for the 2018/19 academic year. Ford and Primary Engineer are both active partners of the Year of Engineering, a government campaign aimed at reducing the skills gap within the engineering industry. Government envoy to the campaign, Stephen Metcalfe MP, attended the event and gave a speech to the young students about the important role engineering plays in the UK economy.